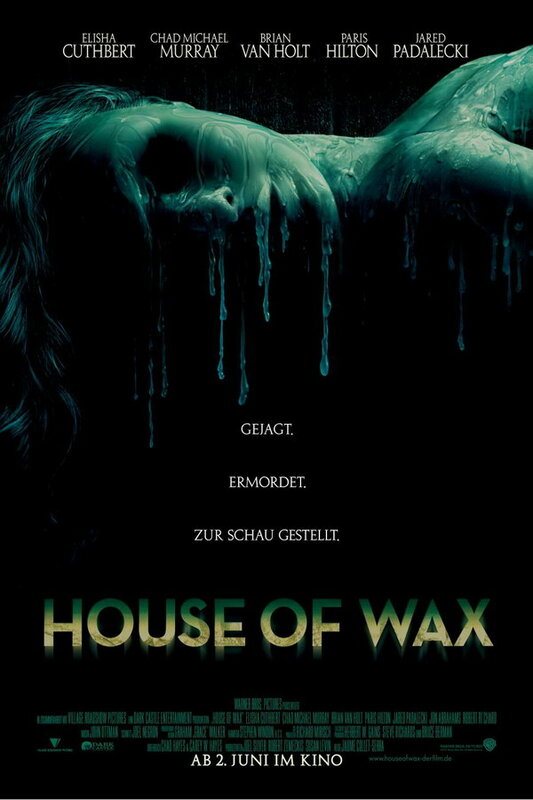 House of Wax font here refers to the font used in the poster of House of Wax, which is a 2005 horror movie that revolves around a group of unwitting teens, who are stranded near a weird wax museum and soon must fight to survive and keep from becoming the next exhibit. The movie title in the poster was probably designed with Neutraface Bold, which is a commercial type designed by Christian Schwartz for House Industries. You can view details and purchase and font via House Industries. In addition to House of Wax, Neutraface typeface is also used in the following logos, movie posters or album covers etc., including: Oblivion, The Shape of Water, Circus HalliGalli (TV Show), Foursquare, Quantum of Solace, The Young Victoria, Empty Mansions, A Little Faster, Girls, Passengers (film), Native, Once Upon a Time (TV series), The Oranges, Pollinator (Blondie), James Bond 007: Blood Stone.